The Student Compost Cooperative (SCC) is a student-run cooperative organized by the BioEnergy and Sustainable Technology (BEST) Laboratory. The SCC was started in order to educate UF students about the importance of food waste composting and to give them an opportunity to compost their own food waste. Because many college students live in dorms or apartments, household composting is not an option. The SCC maintains several composters to allow these students to compost their food waste. The SCC has an open door policy. Food waste can be brought to the composters at any time. When you place your food waste in the composter, please turn the compost to mix the fresh food waste into the compost. Turning facilitates the biodegradation and prevents odors. If you do not have a container to transport your food waste to the composters, we can provide you with one. Are you having an event or meeting and don’t want to send your food waste to the landfill? 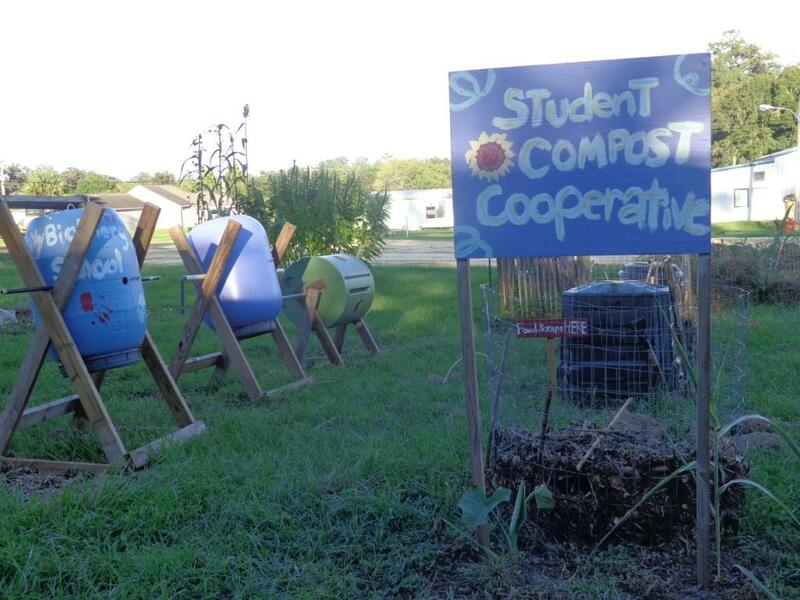 The Student Compost Coorperative is here to help you. We welcome you to bring out any food waste from your event to the SCC for composting. We have rolling food waste bins for signout if you need them. Please contact the current coordinator below to arrange bin pick up/drop off and food waste composting.